Governor Cuomo announced that more than $18 million in economic development funding has been approved for 19 projects that are generating economic growth statewide. 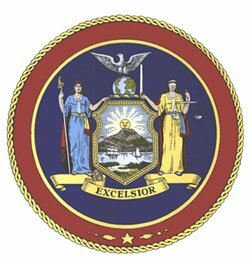 Albany, NY - July 9, 2015 - Governor Cuomo announced that more than $18 million in economic development funding has been approved for 19 projects that are generating economic growth statewide. The funding, approved by Empire State Development’s Board of Directors, supports projects that are creating 403 new jobs and retaining 1,474 existing New York State jobs. This funding will also leverage over $490 million in private assets and other public funding to support local businesses and projects that are building a strong foundation for future economic growth and job creation. Capital District Community Gardens, Inc., a not-for-profit corporation doing business as Capital Roots, will use a grant of up to $250,000 for a portion of the cost of renovations and fit-up of a vacant building to establish an Urban Grow Center in the City of Troy that would extend the availability, access and distribution of locally grown foods. Capital Roots works to reduce the impact of poor nutrition on public health by organizing community gardens, providing access to healthy foods, offering nutritional and horticultural education and coordinating urban greening programs. With programs including over 50 community gardens in the Capital Region, Capital Roots connects people and communities with knowledge and resources to improve their well-being through access to healthy, locally grown foods. By 2012, Capital Roots was facilitating the distribution of over 300,000 pounds of fresh food annually throughout the Capital Region in an undersized facility that lacked the necessary space and logistics to operate efficiently and meet the growing demand for fresh foods. Capital Roots applied through Round 2 of the Regional Council CFA process for financial assistance to support the renovation and fit-up of a vacant building in Troy to increase its fresh food warehousing and distribution capabilities, and to expand horticulture services and training activities for the community and was awarded a $250,000 capital grant. This project was designated a priority by the Capital Region Economic Development Council (CREDC), as it utilizes expanded access to local agriculture as a tool for improving the economic, physical and social health of the Region. Novelis Corporation, an indirect subsidiary of Novelis Inc., a global aluminum company, will use a grant of up to $5,000,000 to be used for a portion of the cost of construction, renovations and the purchase of machinery and equipment to construct and equip a 125,000 sq. ft. manufacturing building, and an 81,840 square ft. pre-engineered aluminum scrap facility at its Oswego plant. Headquartered in Atlanta, Georgia, Novelis produces 17 percent of the world’s flat-rolled aluminum products and is the global leader in recycling used beverage cans. The company has 25 operating facilities around the world in 11 countries and employs nearly 11,000 people. Its operation is divided into 4 regions: North America, Europe, Asia, and South America. The company operates 1. 6 million square foot recycling facility in Oswego, New York. In 2011, Novelis notified ESD of its decision to invest $180 million within the Northeast region to expand its production capacity of sheet aluminum for the automotive market, designating the Oswego County plant as the preferred location for this investment. To encourage the company to proceed with the expansion project in New York State and to reduce the costs, ESD provided an incentive proposal to the company for a $5 million capital grant, which the company accepted to help further expansion of its manufacturing operations in Oswego County. This priority project is consistent with the Central New York Regional Economic Development Council’s (CNYREDC) plan to promote advanced manufacturing which serves expanding local and global markets. As a result of this project, Novelis will retain 843 existing jobs and create 90 new jobs. The company has already created 90 new jobs. Vibrant Syracuse Spaces, LLC, a domestic limited liability company doing business as The Gear Factory, will use a grant of up to $680,000 to be used for a portion of the cost of building renovations and infrastructure upgrades, including a new green roof. Vibrant Syracuse Spaces, LLC is committed to provide space and opportunities for regional artisans, musicians, and creative entrepreneurs. In 2005, the Company bought the Gear Factory, a dilapidated building located on the corner of West Fayette and South Geddes Streets with plans to convert the facility into studio, manufacturing and work spaces for entrepreneurs in Central New York. In March 2013, the Company approached ESD for financial assistance to renovate the Gear Factory building. In April 2013, ESD awarded the Company a $680,000 Regional Council Capital Fund grant through Round 2 of the Consolidated Funding Application process to help with financing of the project. The project is consistent with the Central New York Regional Economic Development Council’s (CNYREDC) plan to strengthen targeted industry concentrations that leverage unique economic assets and revitalize the region’s urban cores, main streets and neighborhoods. Stony Brook University, a public university, will use a grant of up to $1,000,000 for a portion of the cost of facility renovation and the purchase of machinery and equipment for Stony Brook’s College of Engineering and Applied Sciences. Stony Brook University’s College of Engineering and Applied Sciences prepares students to become engineers, computer scientists and applied mathematicians. To address Long Island’s shortage of trained professionals in the engineering field, Stony Brook committed to expanding and improving its engineering laboratory facilities. Given the importance of this project and the costs involved, Stony Brook submitted a proposal through Round 1 of the Regional Council CFA process to assist with the purchase and installation of equipment in the new and renovated engineering laboratories and was awarded $1,000,000. The laboratories are expected to be the cornerstone for innovative programs in chemical and molecular, civil and other engineering fields. The project is scheduled to be completed in December 2015, and as a result of the project the new laboratory facilities are expected to provide a higher degree of laboratory sophistication at the undergraduate level, educate more students, and create opportunities for undergraduate students to engage in research experiences and be hired by local technology and pharmaceutical companies. This priority project is consistent with the Long Island Regional Economic Development Council’s (LIREDC) plan to transform Long Island’s economy through identifying skill gaps and creating career pathways for various groups of individuals. H. F. Corwin and Sons, Inc., a private, family-owned company, will use a grant of up to $250,000 to be used for a portion of the cost of construction and electrical for a state-of-the-art duck hatchery. H. F. Corwin breeds, hatches, and grows ducks and is responsible for approximately 4% of the United States duck production. H. F. Corwin owns Crescent Duck Farm which is the last remaining duck farm on Long Island and are struggling to maintain operations due to development pressures for residential housing. Preserving the integrity and the bio-security of food supply is of utmost importance to H. F. Corwin, and with over 150,000 ducks on the farm, upgrades to the hatchery are needed to prevent diseases from spreading. The state-of-the-art single batch process will contribute to the sterility of the hatchery and prevent widespread contamination of the duck farm. Significant investment is needed in order to make upgrades, and H. F. Corwin applied for and was awarded funding assistance through Round 2 of the Regional Council CFA process to assist with upgrades to the duck hatchery. The project is consistent with the Long Island Regional Economic Development Council’s (LIREDC) strategic plan for long-term economic growth, sustainability in preserving the integrity and bio-security of food supply and supporting the growth of agribusiness. As a result of the project, The company will retain 80 existing jobs and create 2 new jobs. The project will also increase duck production on the farm by 20,000 ducks per year, resulting in a net impact of $200,000 in increased sales. Market NY is a regional tourism marketing program that supports regionally themed New York-focused projects and bolsters tourism growth by promoting tourism destinations, attractions and special events, and also by providing funding for tourism facilities in New York State. Market NY will use up to a total of $20,137 of $10,000,000 awarded in Market NY Round 3 grant assistance and $440,000 of the $12,000,000 awarded in Market NY Round 4 grant for tourism marketing and/or tourism capital throughout various regions of New York State. Each grantee has identified and prioritized Regional Marketing Tourism projects that support the Regional Council’s strategic plans for tourism and will coordinate with New York State’s “I LOVE NEW YORK” tourism division to maximize the overall program impact statewide. Valley Health Services, Inc. (VHS), a not-for profit organization operating a long-term care and rehabilitation facility, will use a grant of up to $1,775,000 for a portion of the cost of construction, renovations and the purchase of machinery and equipment for the development of a new Living/Learning Community Health Science Center. In March 2010, The New York State Department of Health released data stating that by 2016, Herkimer County will be in need of an additional 42 nursing home beds. To help meet this need, VHS constructed the Living/Learning Community Health Science Center, a new assisted living facility complete with an integrated center for health care worker training. The Center will provide a safe, comfortable place to live for those who need assistance, with certified health care workers to serve the population over the age of 65. Without ESD support, VHS would not be able to create a space for elderly care and provide the education to meet the needs of the growing aging community. This priority project is consistent with the Mohawk Valley Regional Economic Development Council’s (MVREDC) plan to improve population health through economic development, and has created significant new jobs in the education and health care sectors. As a result of this project, VHS has created 27 new jobs. Bronx Overall Economic Development Corporation (BOEDC), a community‐based economic development organization, will use a loan of up to $500,000 to capitalize the Bronx Revolving Loan Fund, a revolving small business loan fund that will that will expand BOEDC’s outreach to include businesses either outside of the Empowerment Zone boundaries or unable to access more traditional sources of financing. The Bronx Overall Economic Development Corporation was established in 1981 under a 301 (a) Planning Grant from the U.S. Economic Development Administration to promote economic development in The Bronx. For over thirty years, BOEDC has been a leader during the economic resurgence of the borough, generating and expanding new employment and business opportunities for residents of the Bronx. When parts of Upper Manhattan and the Bronx were designated as an urban Empowerment Zone under federal legislation in 1994, BOEDC was selected to administer the Bronx portions of the zone. Funding for the Empowerment Zone is provided by the federal government with matching amounts from the City of New York and the State of New York. ESD provided BOEDC with a $500,000 loan to help support the Bronx Revolving Loan Fund, which will provide support for small businesses that generate growth and job creation within Bronx County but are unable to secure adequate capital through traditional financial institutions. The Village of Heuvelton, located in St. Lawrence County in the Lake Ontario-St. Lawrence River-1000 Islands region of Upstate NY, will use a grant of up to $500,000 for a portion of the construction cost to institute wastewater system improvements on State Street. The Village of Heuvelton needed to upgrade its wastewater system, which was inadequate for the needs of the growing community and in need of repair. The Village applied for funding assistance through the Regional Council CFA process and was awarded $500,000 from the NCREDC, which had established a specific infrastructure fund to assist North Country communities with municipal infrastructure projects. Without ESD assistance the infrastructure project would not be possible. This project is consistent with the North Country Regional Economic Development Council’s (NCREDC) plan to support new and existing business development and improve health, safety and quality of life with upgraded infrastructure in North Country communities. Upstate Niagara Cooperative Inc., a privately owned dairy production cooperative, will use a grant of up to $400,000 for a portion of the cost of renovations and the purchase of machinery and equipment to purchase, start up and upgrade a dairy facility for the production of yogurt and dairy products. Upstate Niagara Cooperative Inc. is headquartered in Buffalo, and over 360 dairy farm families in Western New York own the cooperative, which produces and markets a variety of dairy products under its own brand "Upstate Farms", and also produces private label dairy products for national distribution. Upstate developed plans to purchase and upgrade an existing underperforming dairy facility in North Lawrence which was planned for shutdown by the prior owners. In 2011, the Company requested ESD assistance to help facilitate the acquisition and reduce the costs of improvements and equipment upgrades. ESD offered a $400,000 capital grant, which the company accepted. As a result of this project, the company has retained 51 jobs and will create an additional 34 new jobs. Upstate has already created 12 new jobs. The expanded facility now produces regular and Greek style yogurt. Corning Incorporated, a publicly held company that is one of the world’s leading innovators in materials science, will use grant funds of up to $3,000,000 for a portion of the cost of the purchasing of machinery and equipment to support the company’s facility expansion in New York State. Corning has a combined total of 142 sales and manufacturing operations in over 100 countries and employs approximately 30,000 people worldwide, including 4,900 in New York’s Southern Tier. In recent years Corning Incorporated has experienced significant growth in the domestic and international markets for their Heavy Duty Diesel engine emission control products, and decided to undertake an expansion project at its primary facility to accommodate this growing demand. Corning approached ESD in early 2012 for financial assistance, and was offered $3 million dollar in grant funds and $40 million in Excelsior Tax Credits in April 2013, which the company accepted. Corning constructed and equipped a 90,000-square-foot addition to its environmental technologies plant in the Town of Erwin, facilitating increased production capacity and enhancing its operations through the application of next generation technology and advanced manufacturing capabilities within the transportation industry. The project is consistent with the Southern Tier Regional Economic Development Council’s (STREDC) strategic plan to strengthen the manufacturing sector and increase global export. As a result of this project, Corning will retain 500 existing jobs and create 250 new jobs. The Broome County Industrial Development Agency (“The Agency” ) a public benefit corporation chartered by the State of New York, will use a grant of up to $728,500 for a portion of the cost to acquire a manufacturing facility and to relocate a long-standing manufacturing company within Broome County. The Agency sought to work as a conduit with Indian Valley Industries, Inc. to retain the company in New York State and to preserve jobs. The company's existing facility was slated for purchase by Binghamton University to construct a pharmacy school in close proximity to a major health care center in Broome County. The Agency approached ESD for assistance, and ESD offered a $728,500 capital grant, which enabled the Agency to facilitate relocation of Indian Valley Industries to a new site, maintaining its manufacturing operations, and keeping jobs in Broome County. Without this funding, the company would have likely relocated outside of New York State. This project aligns with regional economic priorities as established by the Southern Tier Regional Economic Development Council (STREDC) through the retention of manufacturing jobs in an area which has been beset by manufacturing job losses. This project is critical to the retention of Indian Valley Industries, a company that has been located in the Southern Tier for more than 60 years. Alfred University, a private university, will use a grant of up to $2,800,000 for a portion of the costs of building construction and machinery and equipment necessary to complete the Alfred Center for High-Temperature Characterization (CHTC). Over the last several decades, renewable energy technology has been made possible by the development of new materials engineered to meet exact specifications, and many of these materials are ceramic-based and are required to function at high temperatures. As most analytical and characterization equipment is not designed for high-temperature measurement, in 2008 Alfred University and Corning Incorporated collaborated to begin planning for the expansion and improvement of Alfred's New York State College of Ceramics by establishing the Center for High-Temperature Characterization. By 2010, Alfred had completed the Center, but lacked sufficient funds to further expand capabilities to include in-house imaging and testing for renewable energy systems and high-temperature battery applications. Alfred applied for and was awarded $2.8 million through Round 1 of the Regional Council CFA process to complete the unique, state-of-the-art CHTC, allowing the University to become a highly-specialized research and testing facility. This priority project is consistent with the Western New York Regional Economic Development Council's (WNYREDC) regional plan to promote higher education and growth in renewable energy industries, as well as attract young people and visitors to the WNY Region. The Research Foundation for the State University of New York (SUNY RF), a private not-for-profit educational corporation that administers externally funded contracts and grants for and on behalf of the State University of New York (SUNY), will use a grant of up to $500,000 on behalf of Alfred State College to be used as reimbursement for a portion of the costs to purchase new machinery and equipment for the construction of the Sustainable Advanced Manufacturing Center (SAMC) on Alfred State’s Wellsville Campus. In 2013, Governor Cuomo awarded $60 million to four innovative projects in round two of the competitive NYSUNY 2020 Challenge Grant Program. The economic development projects goals are to create good jobs for New Yorkers and enhance higher education curriculum and training and research programs. Four winning projects were awarded $15 million each, including the Retooling the Southern Tier initiative, which has dedicated $4.5 million to the construction of the SAMC. This initiative involves collaboration with local manufacturing employers to build a facility and train students to become qualified in advanced manufacturing. Estimates are that 2,340 jobs will be introduced to the Southern Tier region by 2022. This funding is dedicated to construction costs only, leaving a gap in financing for the machinery and equipment to be installed and utilized at the SAMC. Alfred State applied through Round 3 of the Regional Council CFA process and was awarded $500,000 by the WNYREDC to assist with these costs. As a result of the project, electrical construction and maintenance, welding technology, and machine tool technology students will be trained using state-of-the-art renewable energy aspects. Specialized equipment allows monitoring of all energy consumption by advanced lighting and HVAC, and students are encouraged to make improvements through waste reduction and LEAN Six Sigma processes. The SAMC is expected to enroll 300 students annually in the programs housed within. This initiative involves collaboration with local manufacturing employers to build a facility and train students to become qualified in advanced manufacturing, and it is estimated that 2,340 jobs will be introduced to the Southern Tier region by 2022. This priority project is consistent with the WNYREDC's regional plan to promote education and training in state-of-the-art, sustainable advanced manufacturing. The Martin House Restoration Corporation (MHR Corporation), a not-for-profit organization, will use a grant of up to $268,000 to cover a portion of the cost for the restoration of the basement of Frank Lloyd Wright’s Darwin Martin House, a historic building which will house the newly-established Junior League/Buffalo News Learning Center. Between 1903 and 1905, world renowned architect Frank Lloyd Wright designed a complex of five residential structures for wealthy Buffalo entrepreneur Darwin D. Martin and his family. The Complex, which was completed in 1909, is a National Historic Landmark, and a prime example of Frank Lloyd Wright’s Prairie House ideal. The Complex remained vacant from 1937 through 1954 after the passing of Darwin Martin, and in 1992, the MHR Corporation was established with the mission of raising funds to restore the vacant deteriorated Complex, which had suffered extensive damage due to a long period of abandonment. In 2012, the MHR Corporation applied for $1 million in financial assistance through Round 2 of the Consolidated Funding Application process to go towards a $5 million renovation of the Darwin Martin House. In July 2013, ESD awarded $268,000 towards a $1.2 million basement restoration allowing for the creation of the Learning Center, which will promote cultural arts and architecture tourism and expand educational offerings such as Boy and Girl Scouts Merit Badge workshops, woodworking, architecture, engineering, art, history, and design classes. This priority project is consistent with the Western New York Regional Economic Development Council's regional plan to promote tourism, cultural and historical education, and youth activities. The next meeting of the ESD Board of Directors will be in July. Subject: LongIsland.com - Your Name sent you Article details of "Governor Cuomo Announces $18 Million to Fund Projects Generating Economic Opportunity in New York State"